Hanoi (VNA) – Twenty key officials from the Liberation Front of Mozambique (Frelimo) will start a three-month training course at the Ho Chi Minh National Academy of Politics from March 1. The course, the second of its kind, is part of a cooperation agreement inked between the Communist Party of Vietnam and the Mozambican ruling party. The training programme will focus on Vietnam ’s experience in ideological and political affairs and the making of development and international integration strategy. This is the second training programme for Frelimo officials hosted by the Ho Chi Minh National Academy of Politics. In the cooperation framework between the Vietnamese academy and the Central Frelimo Party School , the Frelimo will send four specialists to Vietnam to learn experience in teaching and conducting scientific research. 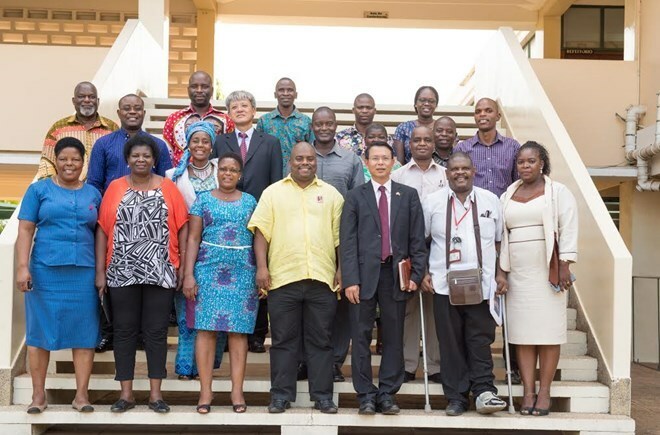 On February 24, the Vietnamese Embassy in Mozambique met with the Frelimo officials before they set off for studying in Vietnam . Vietnamese Ambassador Nguyen Van Trung briefed the trainees of Vietnam ’s revolutionary history and socio-economic development process.